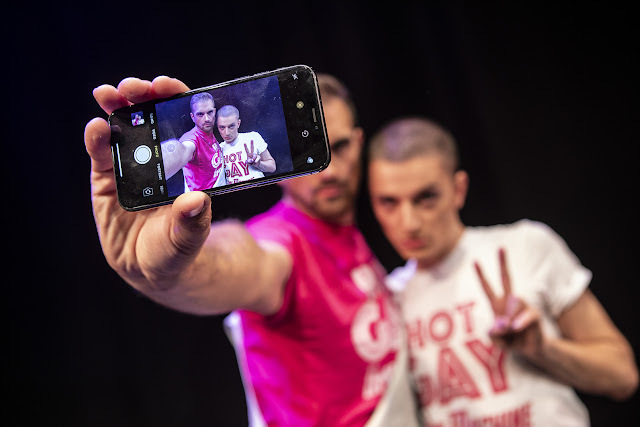 Fun, flamboyance and festivity, Hot Gay Time Machine is probably the most fun you'll have at the theatre this year (and next year when it'll no doubt be ruling the West End and the world). 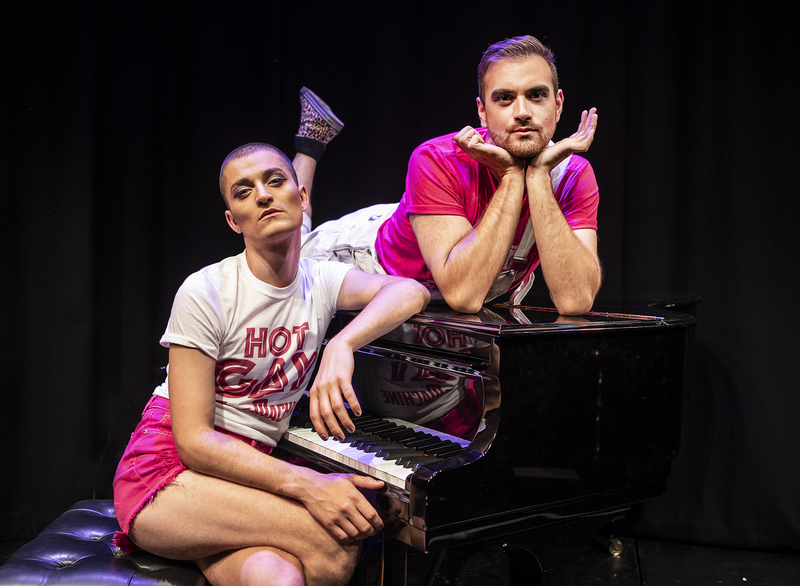 Conceived by Zak Ghazi-Torbati, Toby Marlow and Lucy Moss, this show is a ridiculously humourous look and laugh at life as a hot (privileged) gay. With a pink carpet and sparkles abounding, Trafalgar Studios becomes the time machine as Zak and Toby travel through a series of iconic moments in their lives, accompanied by a catchy, riotous soundtrack. Zak and Toby have done an outstanding job of creating a show that feels fresh, modern, exciting, wild and amusing but also has moments that are moving and informative. Alongside innuendos and outright unruly behaviour there are sweet moments about gay-splaining and coming out which are looked at with sincerity and fun. Asides from the fantastically witty writing, it's the chemistry between the pair which makes this show a surefire success. The duo bounce off one another as if the whole show is impromptu, and there are a number of moments where they ad lib and give one another knowing glances that just add to the already extra humour. Toby deftly plays the piano whilst singing his soul off and Zak provides vocals for days as well as witty one liners and harmonies to give you life. In all honesty there's not much more I can say about this show other than: GO SEE IT. If you want to laugh your face off and have 75 minutes of pure, unadulterated, gay fabulousness alongside absolutely stellar performances, Hot Gay Time Machine is the show you need in your life. Go now or commit a small hate crime.